Sony is set to launch PlayStation Now in North America, with the roll out of a full Open Beta to PS4 owners next month. The Open Beta will be available from July 31st, supporting over 100 games, including Dead Space 3, God Of War Accession, MGS Ground Zeroes and Ultra Street fighter 4. Unfortunately, SCEA’s CEO Shawn Layden didn’t mention anything about an European launch of the service. Hopefully, we will be able to tap into the US Open Beta and give the service a try. Layden also revealed that PlayStation Now content will also be available via “selected Sony TVs”, with a DualShock pad being the only required peripheral. 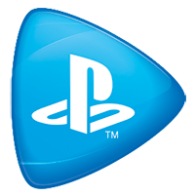 Following the PS4 Open Beta, PlayStation Now will launch on the PS3 and PS Vita, though no release dates were revealed.